Candidates are advised to go through the details on the website carefully for determining their eligibility, as per specified criteria, for each post before applying. 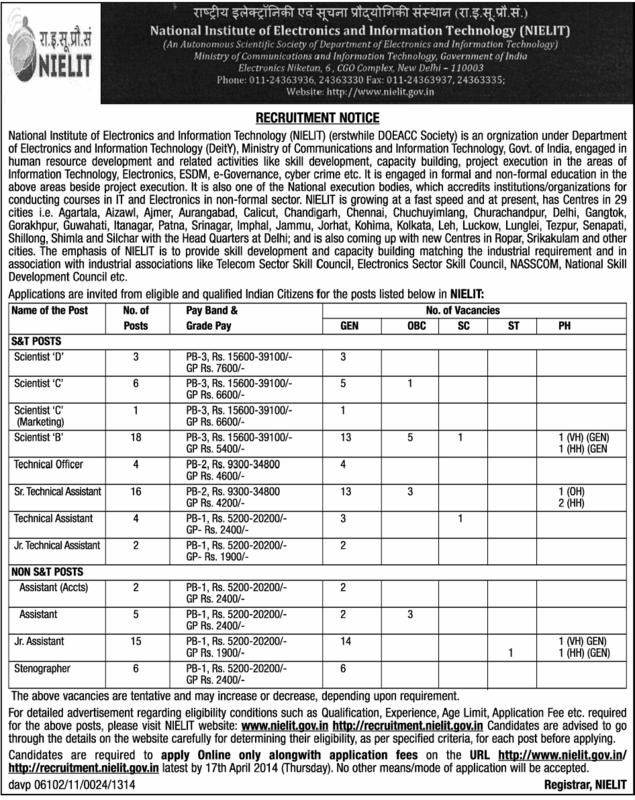 Candidates are required to apply Online only along with application fees on the URL www.nielit.gov.in http://recruitment.nielit.gov.in latest by 17th April 2014 (Thursday). No other means/mode of application will be accepted.